Sven Holcomb, a sound recording engineer, is a professor of audio engineering in the film department of UCSB. 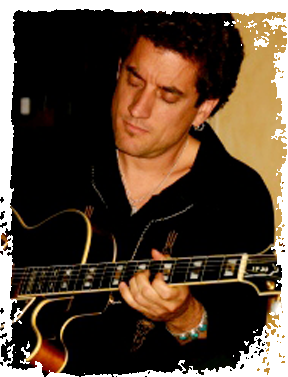 A lifelong musician in jazz, blues, and rock 'n' roll guitar, he has had the honorof playing with many well-known and talented people. Sven currently sings and plays in three bands, Jeff Bridges' Abiders, Kim Ford's Joni Mitchell Tribute band, and his own, Red Fish--Santa Barbara's beloved go-to band. He has a deep passion and connection to working with world drumming and percussion instruments, regularly leading ceremonies and gatherings. Sven has been a mentor for young local talent, and he also offers his musical and engineering services to many of our Santa Barbara fund raising events. As a lead White Lotus Yoga teacher, Sven uses his love of rhythm and flow in both the music and yoga worlds to help people find their joy and healthy creative expression. His fun-loving spirit along with his patient and caring teaching style helps to bring out natural gifts in others. Sven plays a mean guitar. He's got rhythm, he's got soul, and he's got heart. Sven keeps it real. He is a truly talented musician and yogi whom we have had the honor and pleasure of witnessing in action and sharing much of this life's journey with. You're going to love the Yoga of Music, Sound, and Vibration with Sven as your maestro.